Site carefully. It's less hardy than some, though it runs more quickly zone 7 and south. The shoots' sheaths are edged in red. Hence "rubromarginata." It tolerates cold dry winds better than most, but not quite as well as P. bissetii. It has been reported to reach up to 30 feet in height and 2 inches in diameter in zone 6 within 8 years. 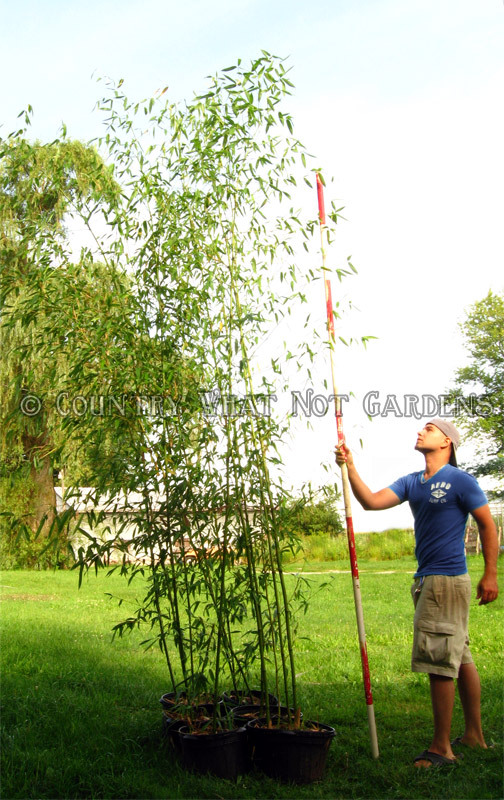 It will be smaller in zone 5, but is still a big bamboo. 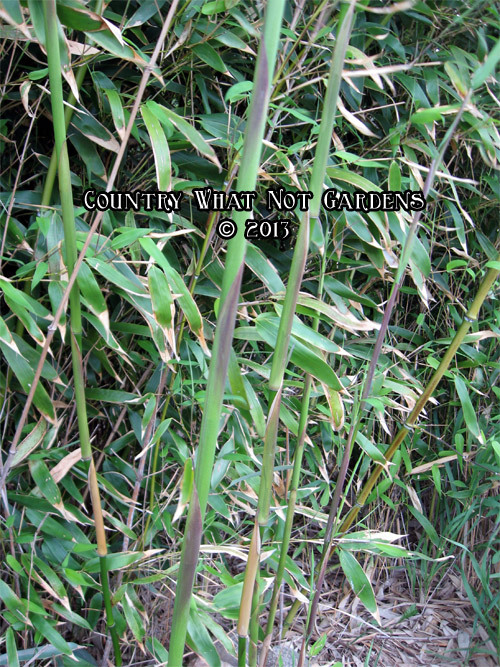 As with any bamboo, size depends on growing conditions. Below are some of our 5 gallon P. rubromarginata plants. We use full, true 5 gallon pots. 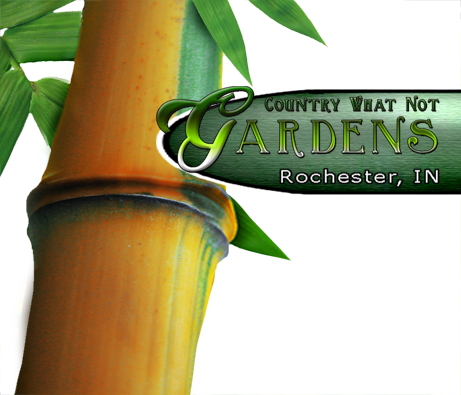 Most "5 gallon" pots sold by other nurseries are in fact 3 gallon pots. The pots we use are known as "true 5's" or "trade 7's".